The forest is for everyone. Forest Therapy Ottawa is adopting a sliding scale for a number of our walks. 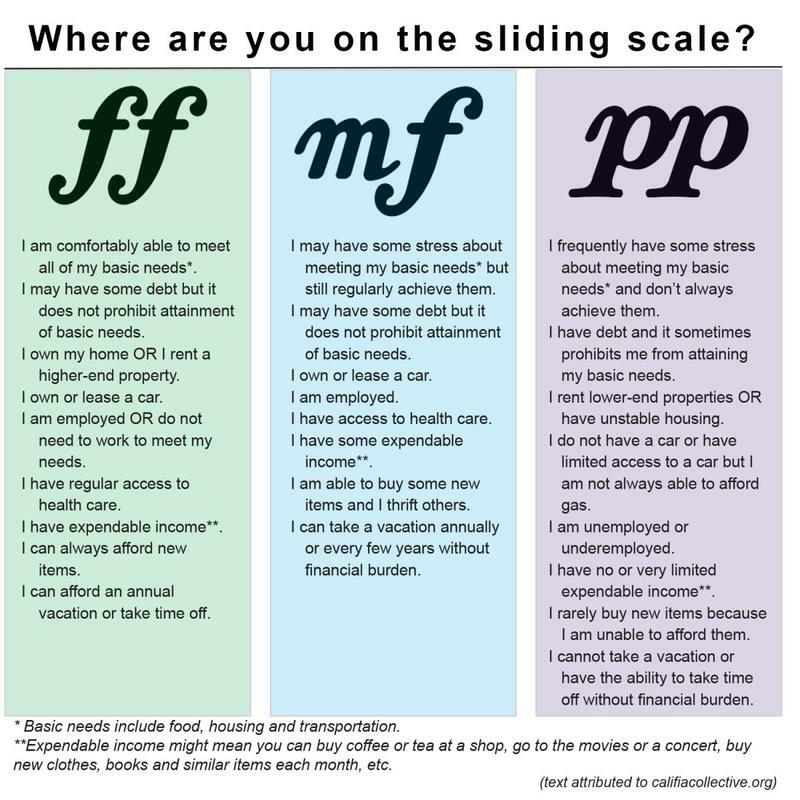 A sliding scale supports our values of accessibility and inclusiveness. This policy relies on an honour system, as it is up to walk participants to choose the ticket level that best describes you. Please take a look at the graphic below to help determine which level ticket to purchase. Paying as much as you are able allows me to cover my costs and helps me continue to offer a sliding scale. If the lowest ticket price is still too high for you, please email me. At some point soon, you will also have the option to add a donation to your ticket purchase to help cover expenses so I can continue to offer a sliding scale, or you can choose to make a donation after the walk.